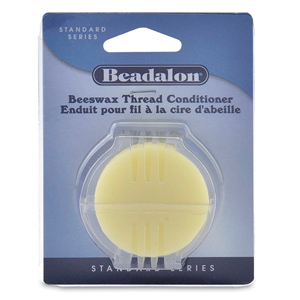 Beader's Wax thread conditioner is an alternative thread surfacing conditioner. Available in 0.43 oz packages, and helps to prevent fraying and tangling during stringing projects. Simply draw thread through the convenient slits in the case.